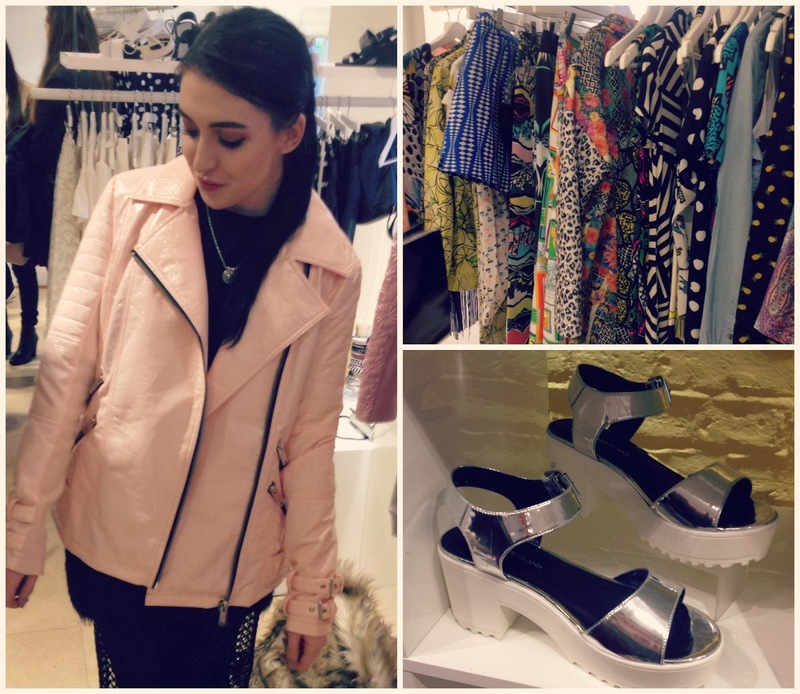 I recently attended the ever-so fabulous River Island press event for their upcoming Spring/ Summer season. 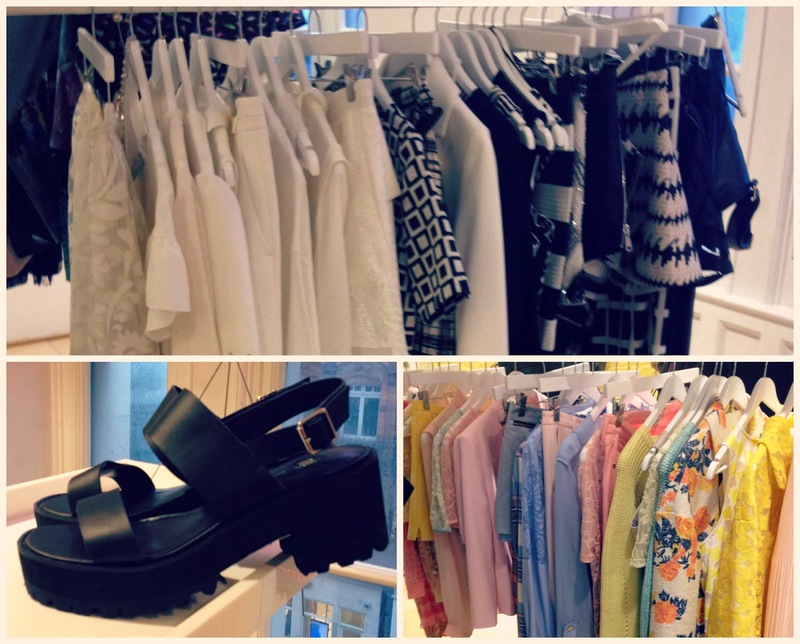 Over the years, it's safe to say River Island has changed dramatically in terms of style and design - for the better. The store offers more fashion-forward, on-trend and quirky pieces as opposed to the almost teenage, over-embellished and "party" vibes of 2/ 3 years ago. River Island is now up on the high street league along the lines of Topshop, H&M and Zara for their affordable take on designer trends. I was highly impressed with next season's range and I predict it'll attract completely new customers to the store, as the designs and price ranges are as attractive as ever. 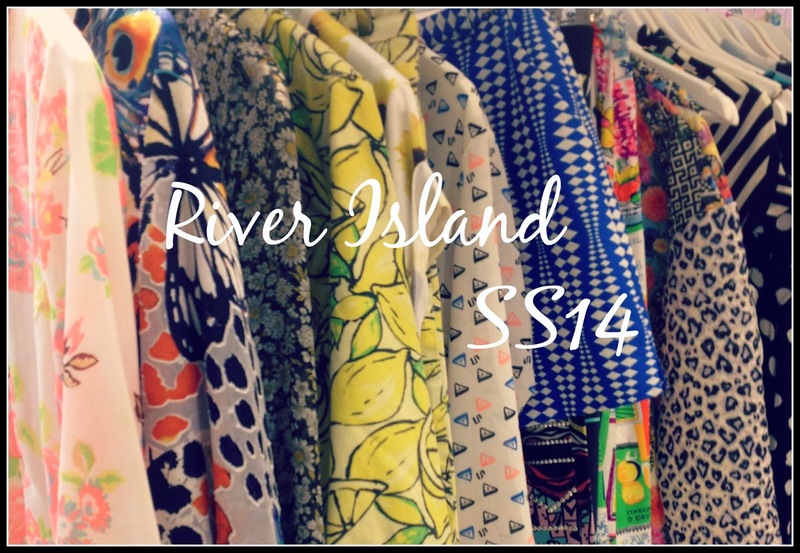 SS14 is a very strong season for River Island; their shoe designs are flawless and will no doubt fly out of stores once they land. There's everything from flatform blocky sandals (the new wedge), strappy coloured stilettos and bejewelled Jackie O inspired flats. 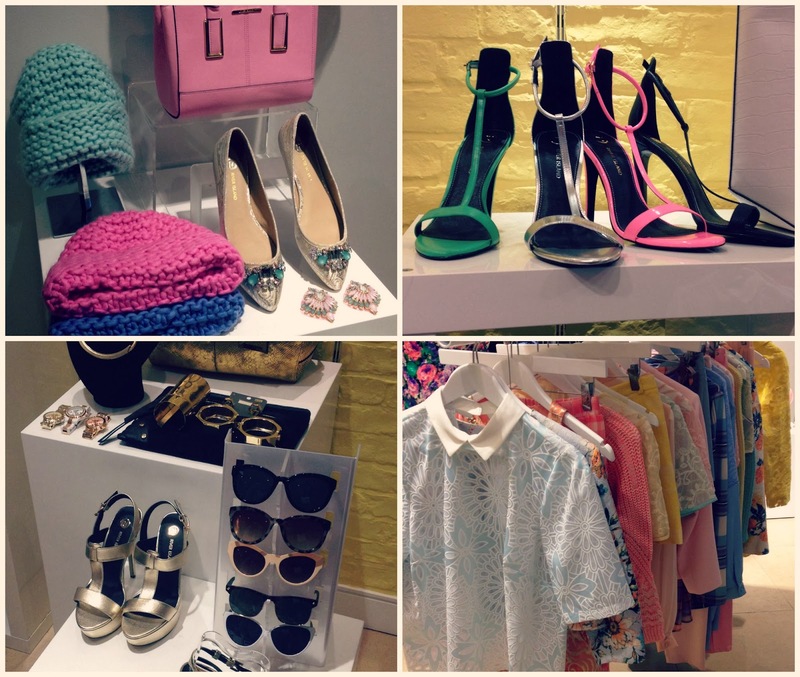 Accessories range from fluffy handbags, coloured leather totes and chunky brass jewellery. 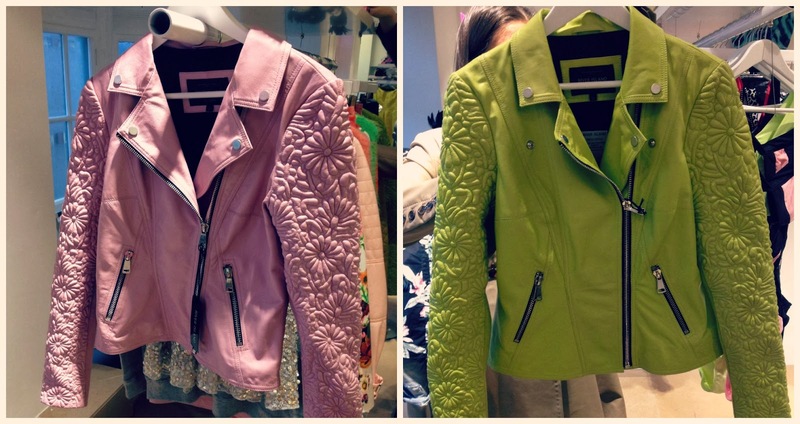 Clothing-wise, the strongest pieces for SS14 in River Island are the biker jackets - with a twist; patent pink PVC, floral sleeved (ah-mazing) and colours ranging from green to yellow and everything in between. I'm definitely more of an Autumn/ Winter gal when it comes to design, as I'm not so much a pastel or floral wearer like most - however, I'm loving River Island's monochrome range and I've spotted a few pieces that I'll be trying on for the warmer months ahead. 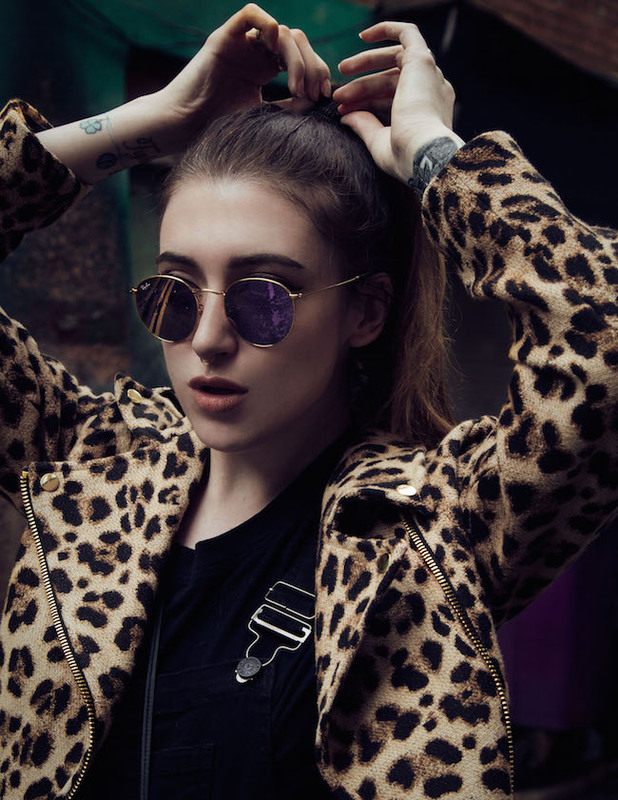 There's definitely something here for everyone, pop in over the next few weeks and have a look at the new season pieces for yourself - it's definitely one of - if not the strongest season River Island has put out yet. Spot anything you like? What's your favourite item?